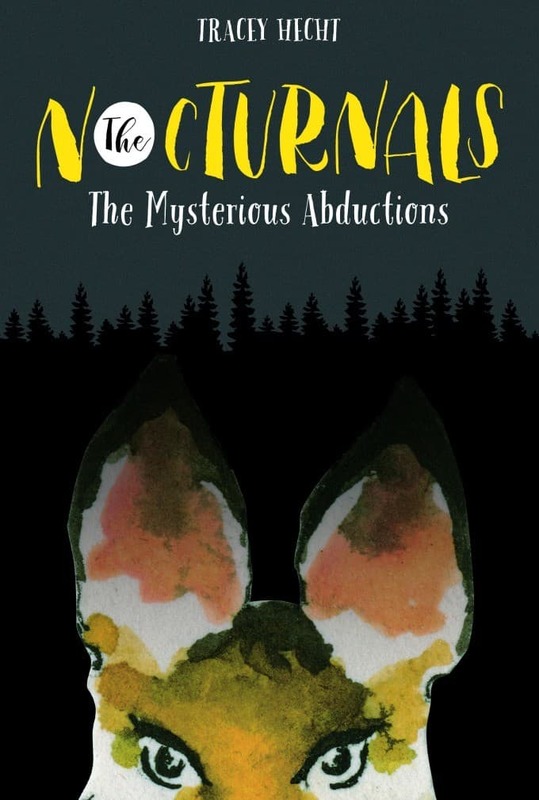 The Nocturnals: The Mysterious Abductions by Tracey Hecht is in stores beginning April 19, 2016! It’s geared for kids age 7 to 12. Tobin is a sweet, bumbling pangolin with a big appetite and a bigger heart. His short-legged, anteater-like body is covered in a tough layer of scales that fit together like the petals of an artichoke. When scared, which happens rather often, he releases a defensive odor from the scent glands on his rear end. His unconditional love for Bismark and Dawn is always enough to override his fear of the unknown, and he is fiercely loyal to his friends and the mission of helping others. Bismark is a self-centered romantic with an unrequited love for Dawn. As a sugar glider he is capable of using his arm flaps to glide through the forests, though not of true flight. He takes great pride in his many talents, including his fondness for inserting foreign phrases into conversations, and maintains that sugar gliders are a superior species. His grandiose opinion of himself is in no way compensation for his, eh-hem, rather diminutive size. Dawn is the fearless leader of the Nocturnal Brigade. With her wits, strength, and poise, she serves as the anchor to her more excitable companions. Her past is a painful subject, and she keeps her emotions under a lid—though this does not keep her from enjoying herself from time to time. Dawn will usually try and resolve conflicts with a stern look or common sense, but when push comes to shove, she will lead the attack. Tracey Hecht, founder of Fabled Films, is a writer and entrepreneur who has written, directed and produced for film. Tracey has launched several start-ups including DoughNet, an online company promoting savings and social responsibility for kids. Fabled Films brings together her passions and interests: writing, creativity, teamwork, and entrepreneurship. When she isn’t writing and managing a business, she can be found hiking, reading or spending time with her family. Tracey currently splits her time between New York City and Oquossoc, Maine with her husband, four children and three pets—none of which are a sugar glider. Kate Liebman is an artist who graduated from Yale University, contributes to the Brooklyn Rail, and has shown her work at multiple galleries. This is her first children’s book. 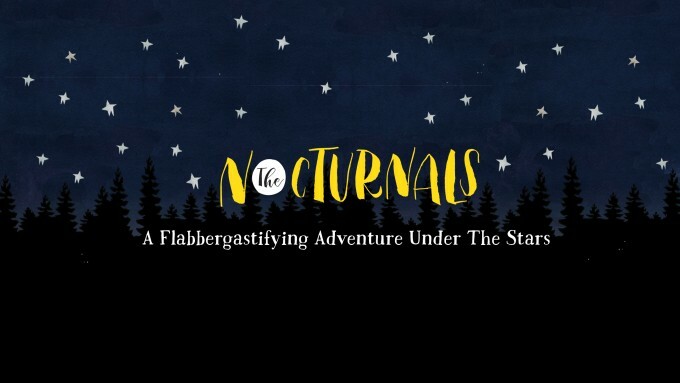 Purchase The Nocturnals: The Mysterious Abductions on Amazon.com or Amazon.ca. 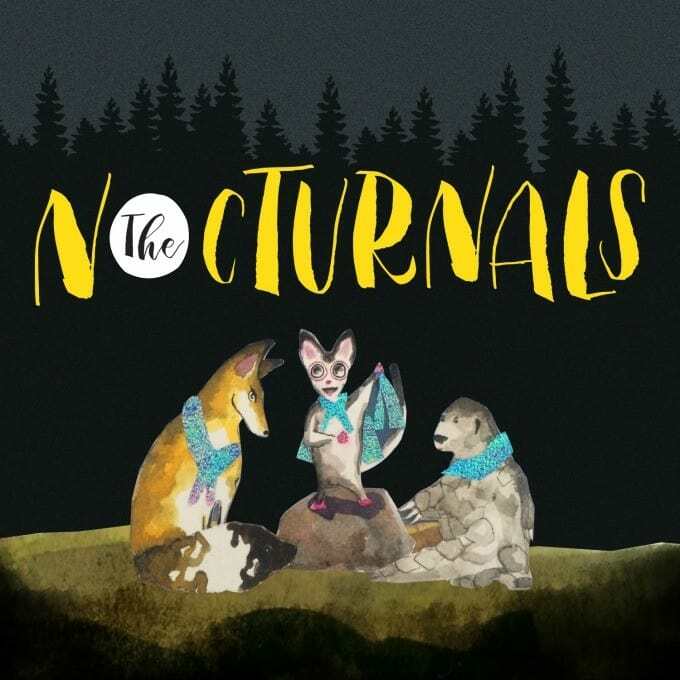 Connect with The Nocturnals on Twitter, Facebook and Instagram. Disclosure: This post is brought to you in partnership with Fabled Films. This looks like a fun book!! thanks for hosting this one. I bet my nephew would love this! What a cute book and I love the little plush too!